ONTONAGON — The remains of an Upper Peninsula man killed during the attack on Pearl Harbor in 1941 were buried in Ontonagon Saturday. 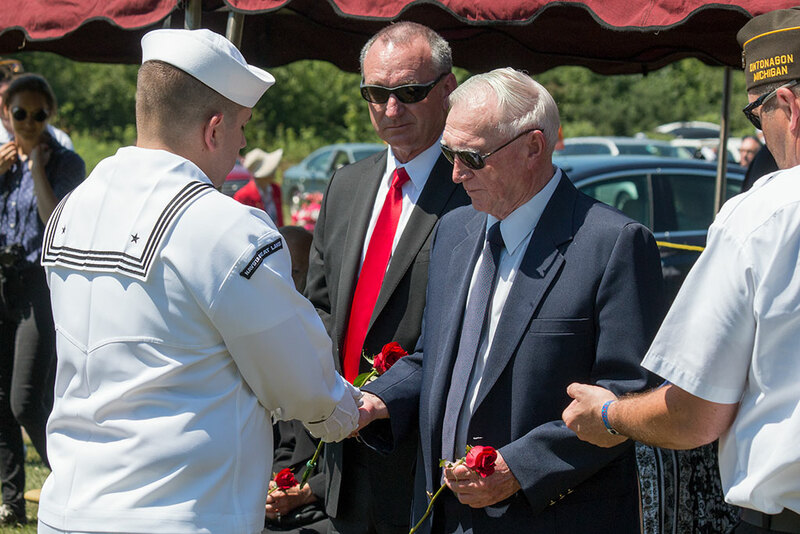 Navy Fireman 2nd Class Lowell Earl Valley was 19 years old when the Japanese attacked the USS Oklahoma at Pearl Harbor. 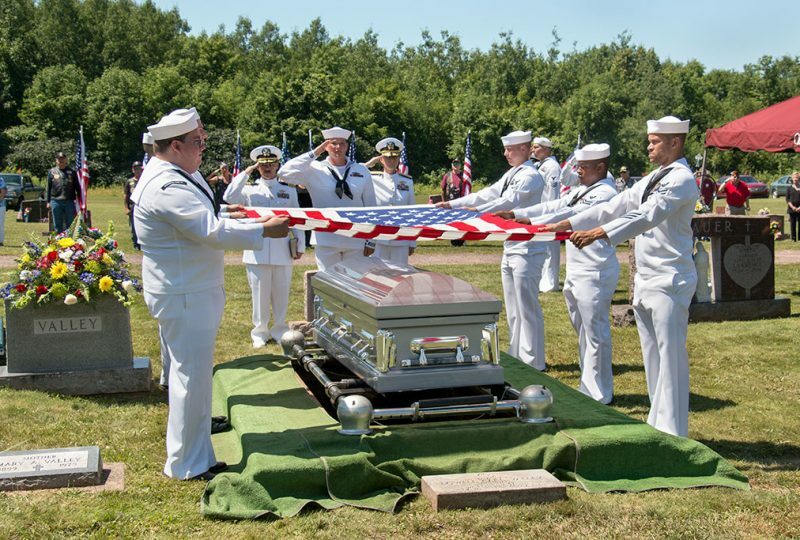 He one of 394 reported missing and buried as unknown at the Punchbowl in Hawaii. 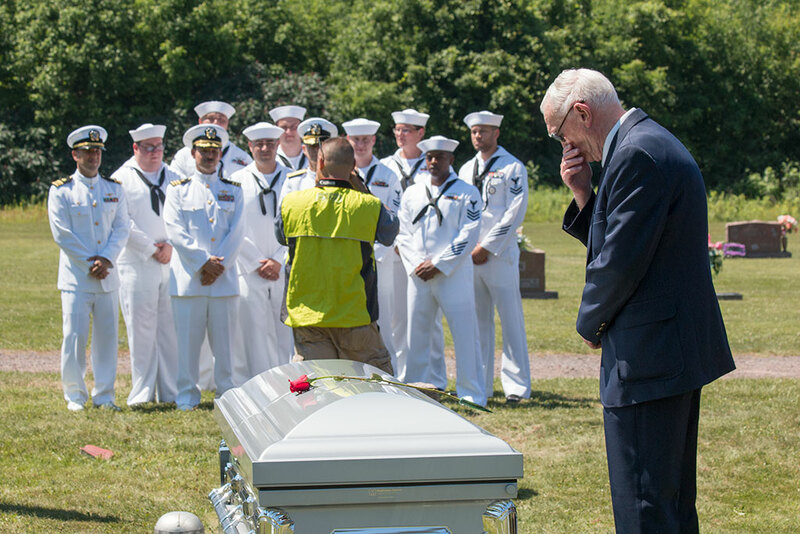 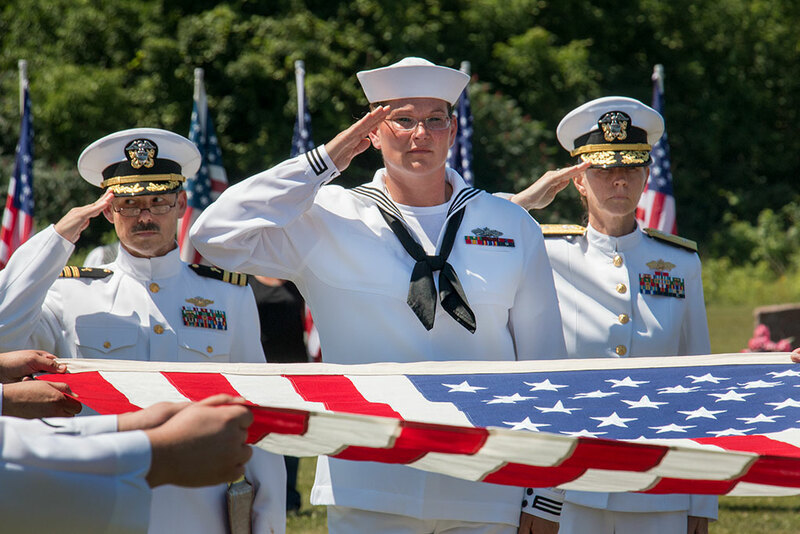 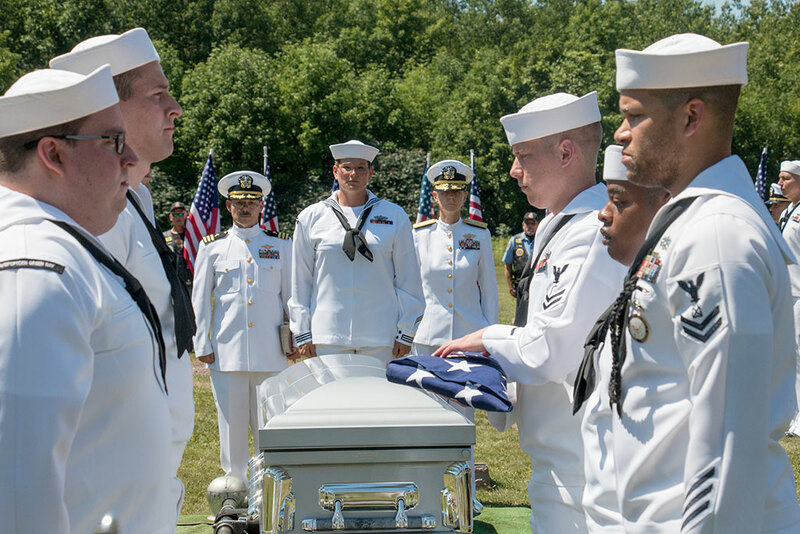 The Navy is now making an effort to identify those from the USS Oklahoma buried as unknowns. Valley was among the remains that the miltary has so far been able to identify. 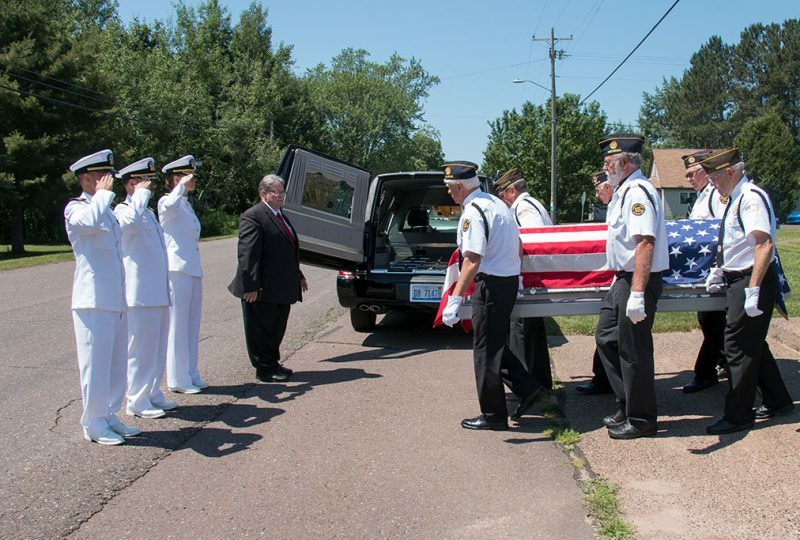 Lowell’s younger brother Bob Valley of Escanaba was 7 years old when his brother enlisted in the Navy. He has since been instrumental in helping to convince the military to begin the identification process. 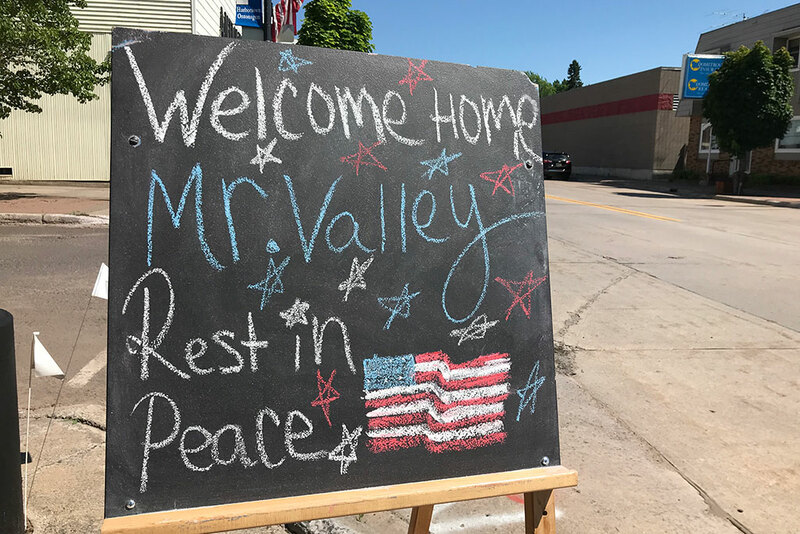 Valley began working with family members to persuade the military to identify 27 casualties that were previously identified but buried as unknowns. 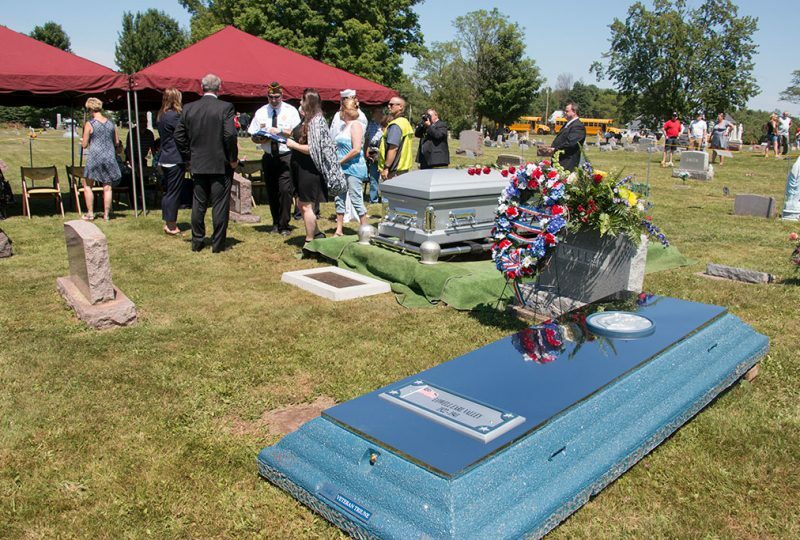 At one point, it seemed like nothing would be done. 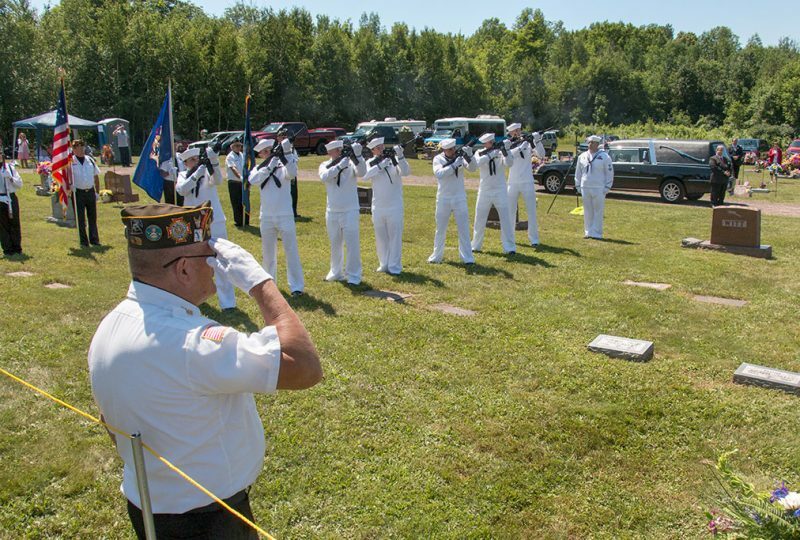 Then three years ago, the military started the process of identifying all of the remains at the Punchbowl. Valley received the call from the Navy on Jan. 19 that his brother had been identified. 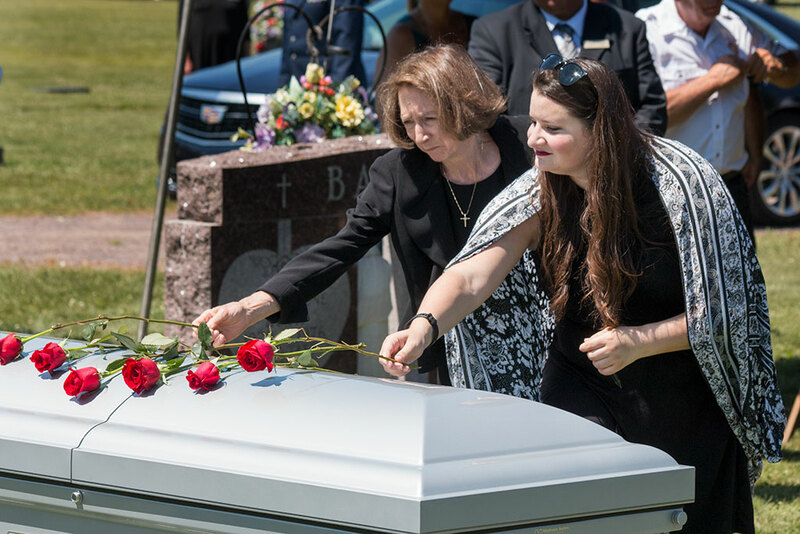 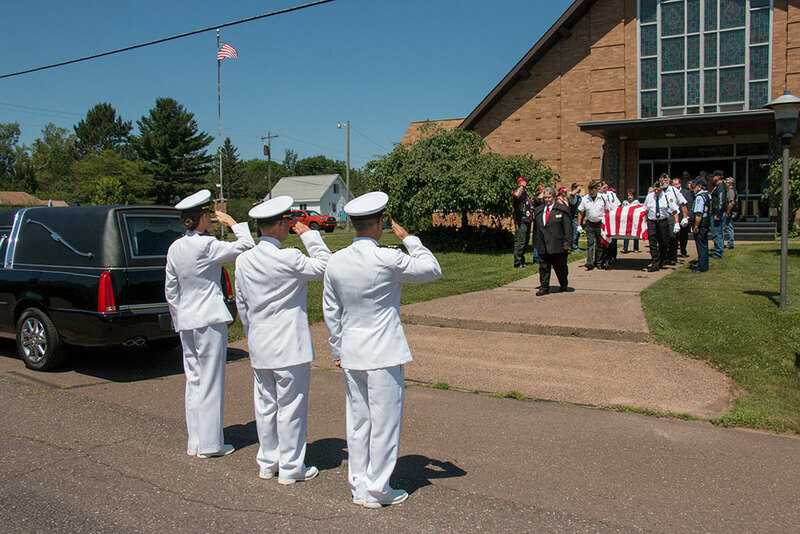 A public visitation and funeral were held July 14 at Holy Family Catholic Church in Ontonagon. 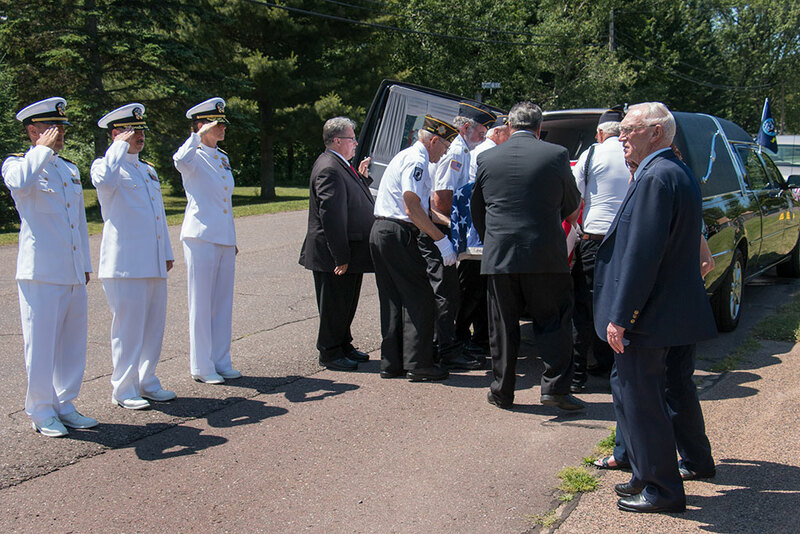 Burial with military rites followed at Holy Family Cemetery. 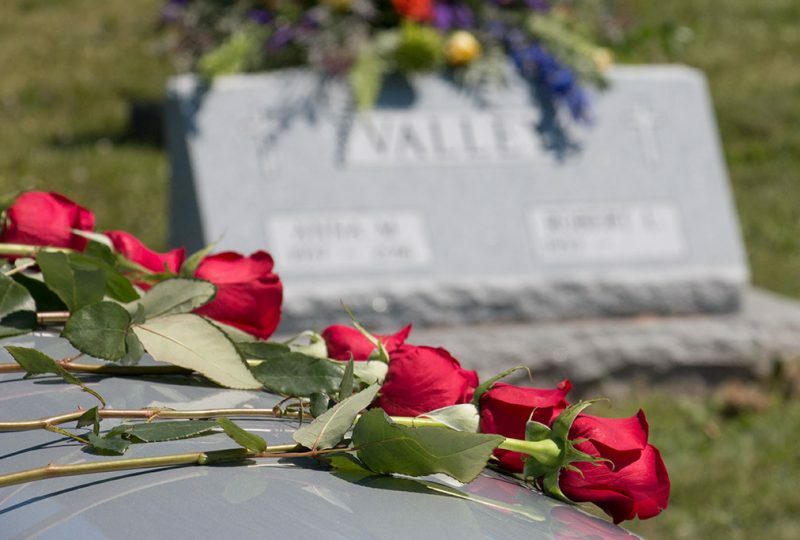 Valley said the funeral was a long time coming. 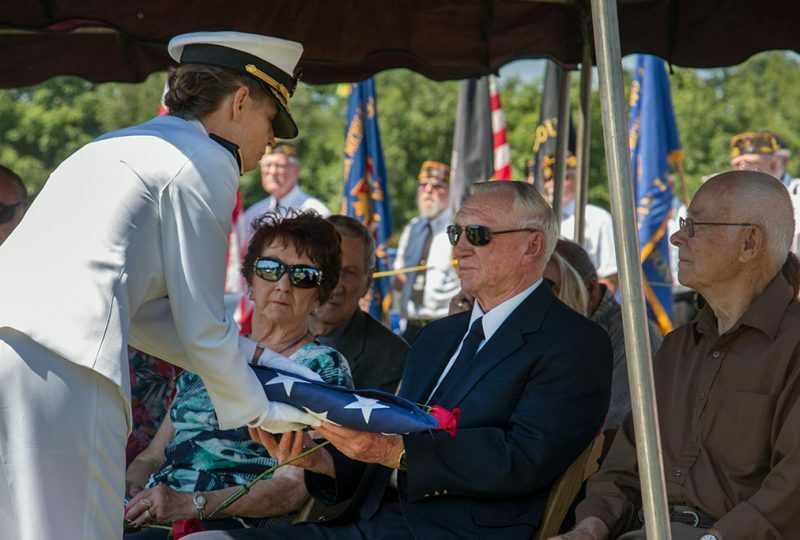 “My family never really knew, my parents never really knew much about anything that happened after Pearl Harbor. I guess, after they passed on, it was up to me to try to find out, if I could, what was going on. Hopefully, find out something about my brother and maybe someday have him identified,” he said after the funeral. 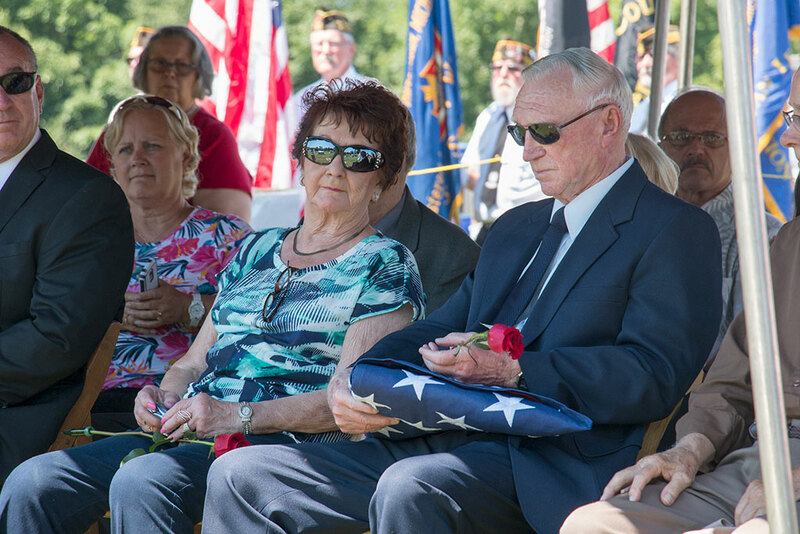 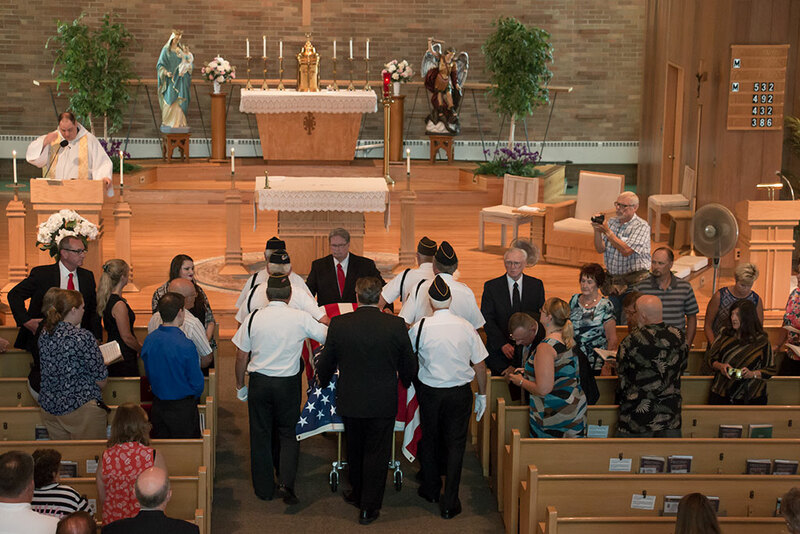 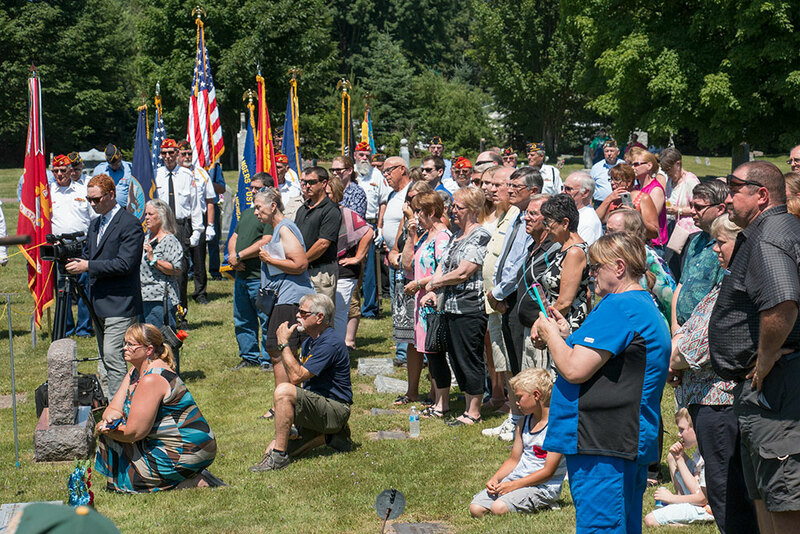 Saturday, Bob Valley accepted the American flag from his brother’s casket at the cemetary program as members of the family and community looked on. 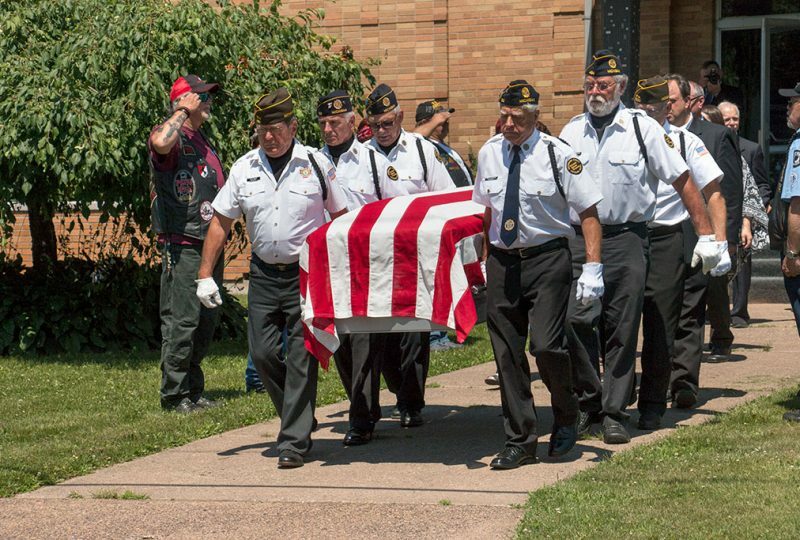 Scott Cleary, Quartermaster of American Legion Post 5600 in Ontonagon said bringing the remains of those killed during the attack on Pearl Harbor needs to be done. 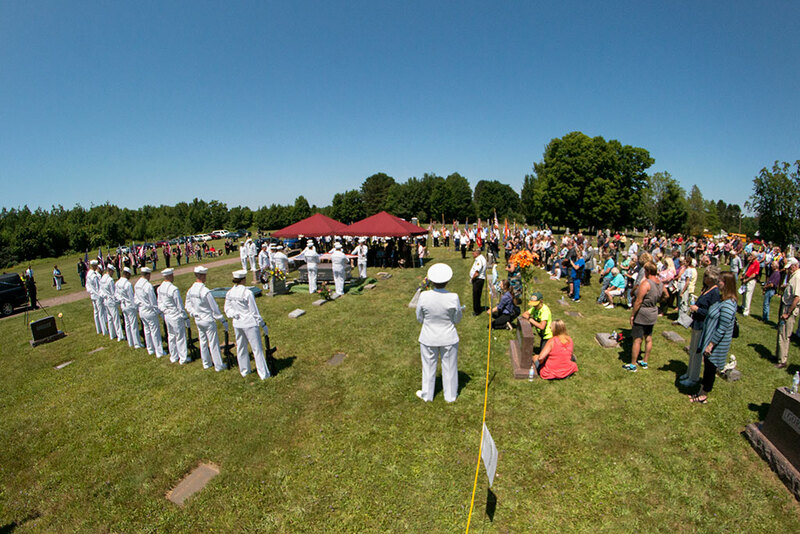 “Because it is very important for the families to know that their loved one’s remains are back home and laid to rest properly as they should be for every soldier killed in action,” said Cleary. 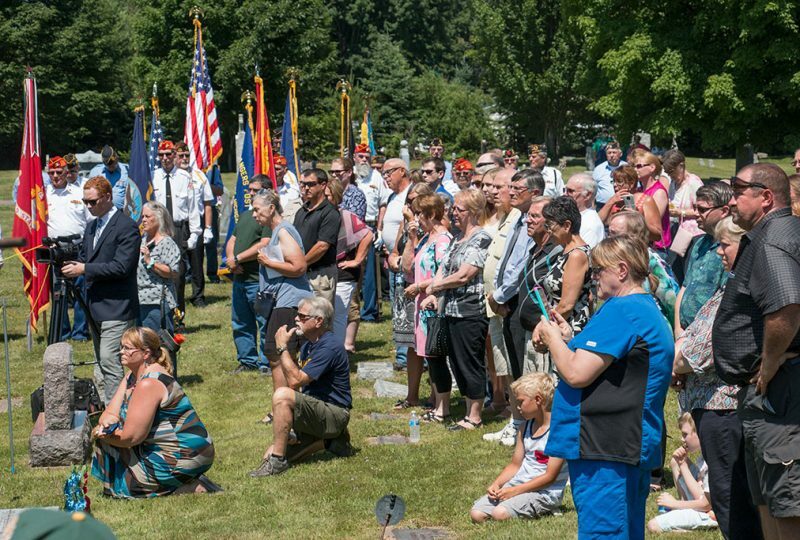 About 300 people attended the graveside program. Cleary said it was a great opportunity for the community to remember a hometown sailor killed in action at the very start of World War II. 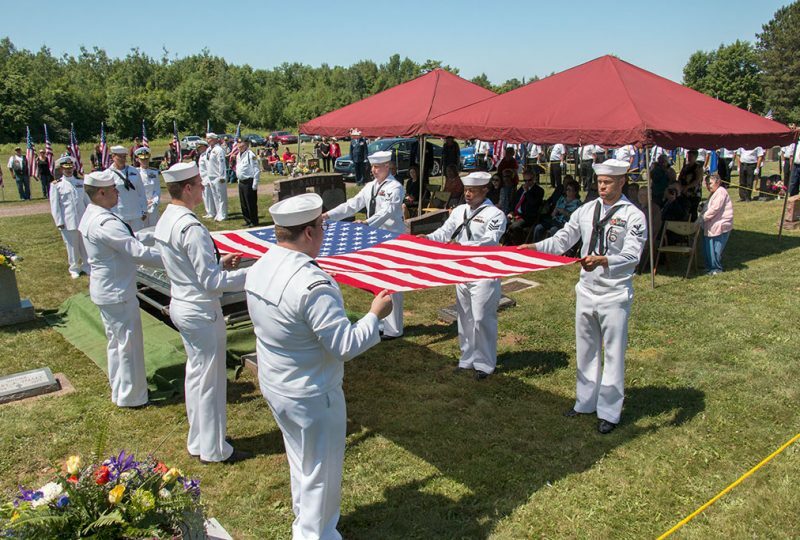 Share the post "Upper Peninsula man killed at Pearl Harbor buried in Ontonagon"
Categories: Featured, Ontonagon County, and People.